Anita graduated with a Master's Degree in HR Development from Webster University in St Louis in 2002 and has been in the HR field ever since! 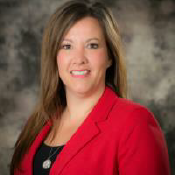 Before her most recent position as the HR Director for Gier Oil Co, she has worked for Associated Wholesale Grocers, Dish Network and US BANK. Anita has conducted several national training sessions and presents a course locally at Missouri State University.